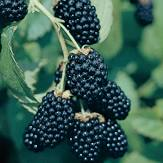 The Ouachita (pronounced 'wash-uh-taw') is a hardy, upright blackberry variety with thornless canes. 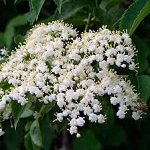 It produces a consistent high yield of large, sweet berries. The flavorful fruit ripens mid to late June and the fruiting continues for approximately 5 weeks. The Ouachita is self pollinating.